The locations for this year's LoL World Championship are announced: The final of the League of Legends World Cup 2013 will be held at the Staples Center in Los Angeles. The other matches of the World Cup final will be played in various locations in the United States. As every year the different teams will be picked from the diverse regional leagues. The first regional qualifiers start in mid-august with the finals in Asia. Korea got one additional spot for the World championship as the korean team was able to secure the victory in the All-Stars Tournament in Shanghai. Particularly encouraging in relation to the LoL World Cup 2013, the recently adopted resolution of the United States to send the usual Visa for Esport players as for other professional ahletes. Hope remains that according to this model other nation will recognize the growing e-sports scene. The 4 winners of their corresponding regional league have been seeded for Quarter finals. Only the winner of the LCS Europe, Team Lemondogs, have to fight their way through group stage as Region EU has placed last at this year’s All Star tournament in Shanghai. More than 25 teams try to get a slot in the Main Event of the LoL Championship this year. As only 2 or 3 teams per region will get a chance to fight for the summoners cup and the million dollar prize money for the winner, lots of action and emotions can be expected. All of the playoffs and regional qualifiers will be streamed on the official website and portal like twitch and YouTube. 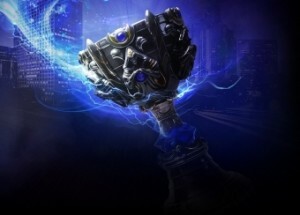 The first place in the League of Legends World championship 2013 is endowed not only with the coveted and prestigious Summoners Cup – the team that can win the 2013 World Championships in Los Angeles, will also be rewarded with a first place cash prize of $ 1,000,000. The total prize pool of the 2013 Worlds is $ 2,000,000. Thus the total prize pool of the third LoL Season increased to over 8 million dollars! All matches in the World Cup final and the qualifiers of League of Legends can be watched at several streaming portals (youtube, twitch, etc.). Riot Games has announced the best shoutcaster the scene has for the games. In addition, the games will be broadcast in different languages. We will keep you up to date. You can watch all games of the LoL World Championship 2013 in the live stream embedded here on our website. Just press the “Play” Button and have fun watchin the games! Thanks to Twitch and Riot Games for this function!